Assistance from the smart packaging system has enabled us to meet bulk and customized packaging requirements of the clients. In addition, our experts ensure safe packaging of the products. The company is deeply rooted in Faridabad (India) and is acknowledged for its fair pricing policy and professional attitude. 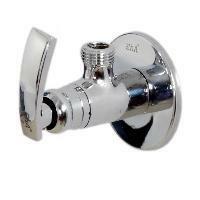 We deal in angle valve yarra that easy to install and available in different sized flat handles at reasonable rates. Application FOR DOUBLE CONNECTION WITH ONE POINT. Packaging Details 2 PCS IN ONE PACKET. Uses: 2 connection with single water point. 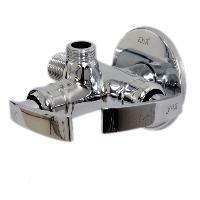 Mostly used for cistern and health faucet connection. : Regular stock: 50 pcs.